Dimensions 1.25 by 5 by 6 in. For a start there's the gloriously out-of-shape Stephen Katz, a buddy from Iowa along for the walk. Despite Katz's overwhelming desire to find cozy restaurants, he and Bryson eventually settle into their stride, and while on the trail they meet a bizarre assortment of hilarious characters. But A Walk in the Woods is more than just a laugh-out-loud hike. 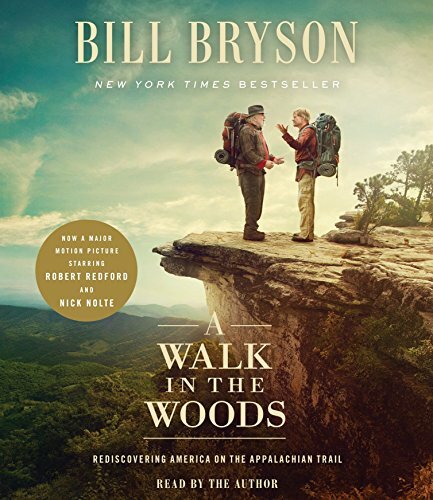 Bryson's acute eye is a wise witness to this beautiful but fragile trail, and as he tells its fascinating history, he makes a moving plea for the conservation of America's last great wilderness. An adventure, a comedy, and a celebration, A Walk in the Woods has become a modern classic of travel literature.